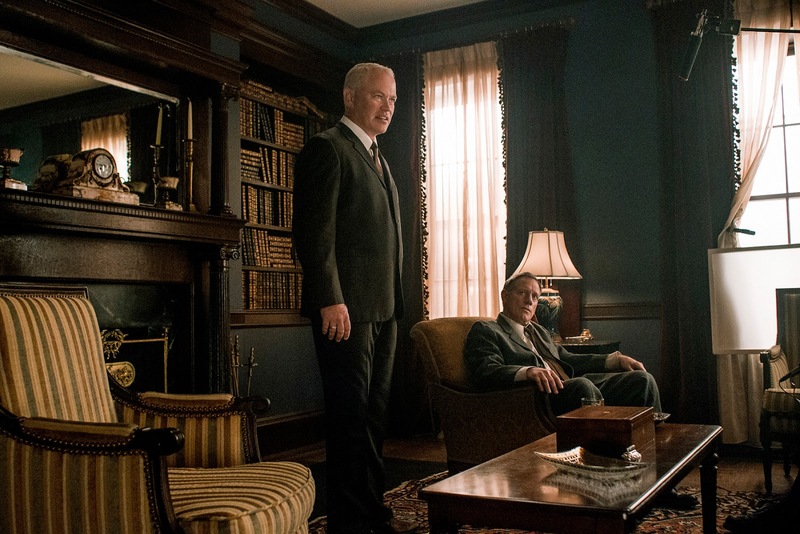 Back in the 90's, New York based independent filmmaker Edward Burns made a splash when he elevator pitched Robert Redford while working for Entertainment Tonight. Burns' family drama The Brothers McMullen was well received at The Sundance Film Festival and off he went trying to make his mark. Subsequent star making turns in front and behind the camera teamed him with the likes of Steven Spielberg, Robert DeNiro, Dustin Hoffman and Angelina Jolie didn't quite pan out. But Burns has kept making films on the independent level and now hits cable TV with a regular series. 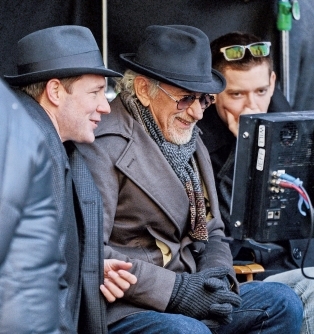 Reteaming with Spielberg, Burns is behind TNT drama series Public Morals based on his family's past as cops during the 1960's where officers walked a thin line between morality and criminality. 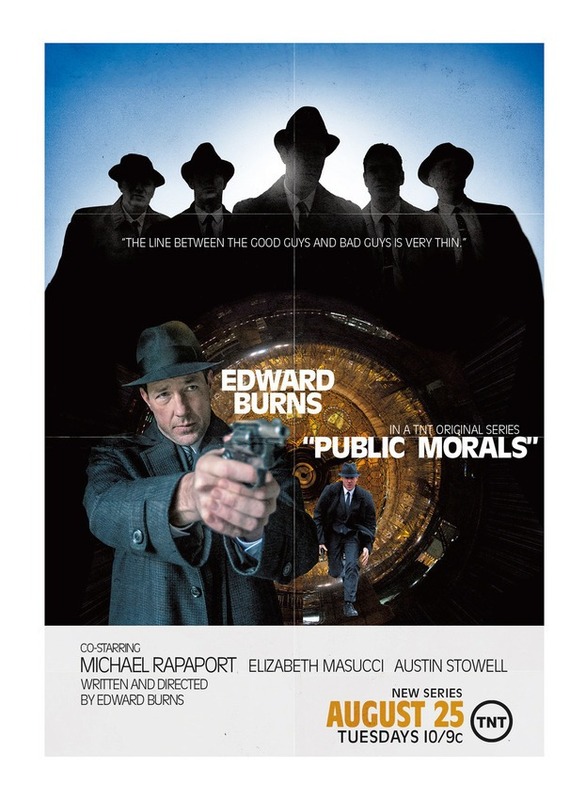 Figuring I liked Burns' work, cops and the 60's, I set the DVR to record Morals. Terry Muldoon (Burns) is a hard working, tough talking, big thinking cop in the Public Morals division. He knows people want to have a good time, he just wants to make sure they don't have too good a time between gambling, drinking and finding female companionship. The relative truce between mobsters, crooks, hookers and cops is shattered when a local boss played by Timothy Hutton gets deaded. From there you get punks trying to usurp power, the family trying to find the killer, cops trying to keep the peace and lots of backstabbing and stand offs. Wow, that all sounded really interesting yet I just deleted the remaining episodes off the DVR and turned off the series recording. Even with a terrific cast headed by Burns that includes Michael Rapaport, Neal McDonough and Brian Dennehy, there's just not much to bring you back to Public Morals. The production value is quite handsome with your period attire, hair and cars, the actors are all fine, it's just not overly exciting or interesting. Broadcast on Tuesday nights starting back in August, I always had 3-4 episodes to catch up on and never felt like viewing more than one at a time. I'm not even sure how many episodes I got through before calling it quits. Probably a good 4-5. My biggest issue with TV is the multiple storylines. You have your star doing stuff over here but you gotta give some time to the unknowns and build up a world and have them intersect, etc. Only problem is, most of the time those little detours don't go anywhere. I remember trying to watch 24 to catch Peter Weller but there were 3-4 storylines going on and I was shocked that star Kiefer Sutherland was in so little to justify being paid so much. It turns out I'm not the only one who isn't sticking around 1960's New York as Morals debuted to a soft 2.14 million viewers in August. The show lost much of it's lead in audience from Rizzoli & Isles and didn't compare to channel anchor The Last Ship. Since then, ratings haven't improved with the show falling nearly every week with only a quarter of the audience who saw the pilot tuning in for last week's episode. With The Player canceled and lack of interest in Morals, it's up to The Muppets to keep me watching a new series. We'll see where Burns goes from here.